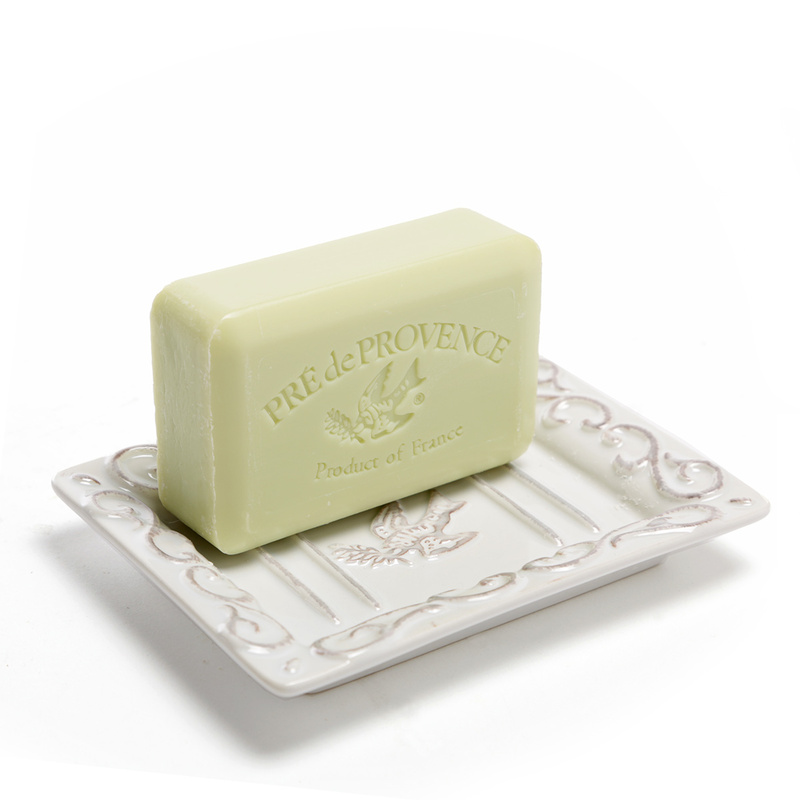 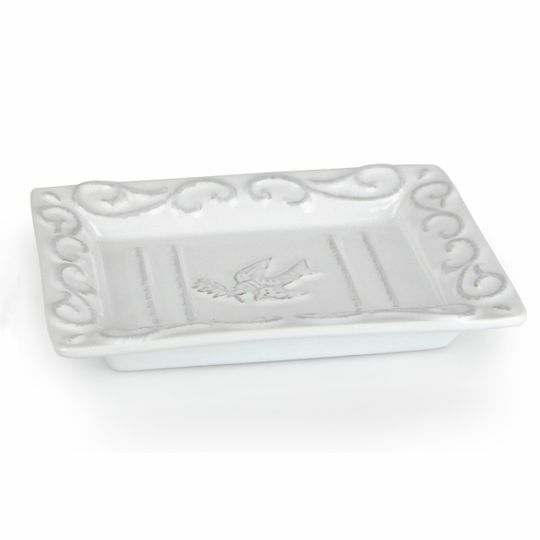 The perfect accompaniment to best-selling Pre de Provence soap, this ceramic soap dish exudes Provencal character. 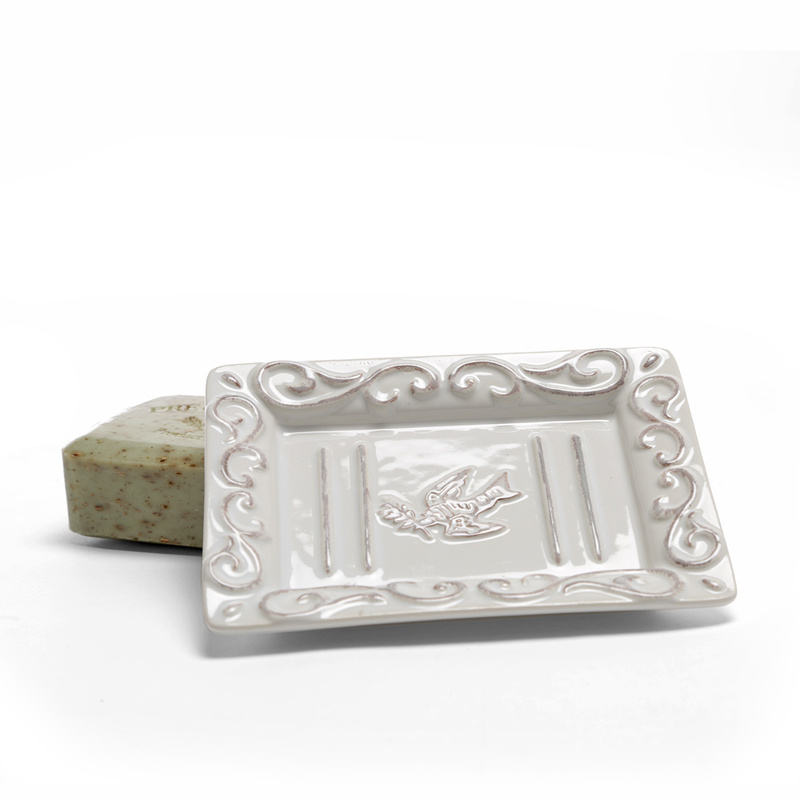 With a whitewashed finish, it features a signature bird and twig insignia and raised channels to help keep soap dry. 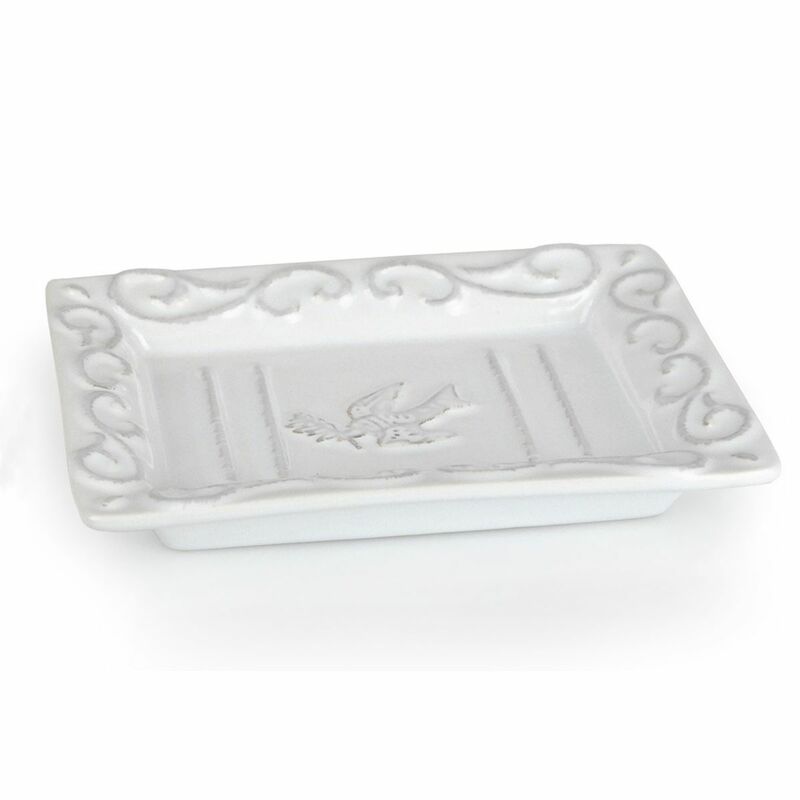 This lovely piece adds character and is a great gift when combined with a lovely bar of soap.